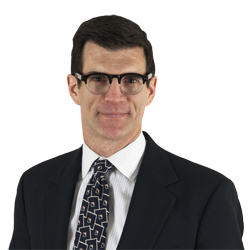 Mark T. Phillis | Littler Mendelson P.C. He represents employers in federal and state courts and before the Equal Employment Opportunity Commission, the Pennsylvania Human Relations Commission, and other administrative agencies. A frequent speaker at seminars, Mark also conducts training for employers on topics such as harassment prevention, investigations and recruiting techniques. He serves as co-chair of the firm's Diversity and Inclusion Council and was one of the founding shareholders of the Pittsburgh office. Before joining Littler Mendelson, Mark studied at the Universidad de Salamanca in Spain and received an Organization of American States grant to study at the Universidad de Belgrano in Buenos Aires, Argentina. In law school, he was executive and production editor of the Journal of Law Reform. How Has High-Court Nominee Brett Kavanaugh Ruled on Workplace Issues? Dear Littler: Do I Really Have to Let an Employee Bring an “Emotional Support Pig” to Work? Are Outside HR Professionals Necessary in Discrimination Cases? You Have a Chief Diversity Officer, But Is Your Workplace Inclusive? What Turns an Employee into a Whistleblower and Are Whistleblowers Good for an Organization?